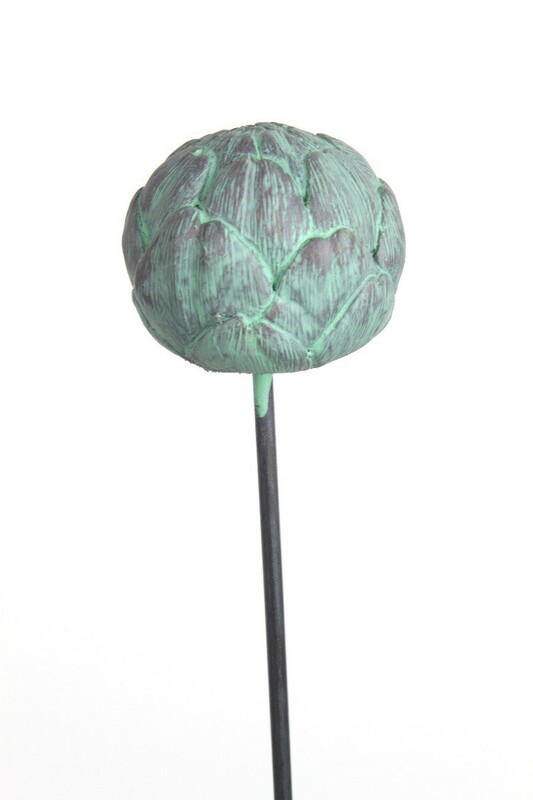 This lovely artichoke garden sculpture standing just under 1.2m tall mild steel stem has been lovingly hand sculpted by paul. Frost resistant and perfect for year round interest in the garden adding height and architectural interest. 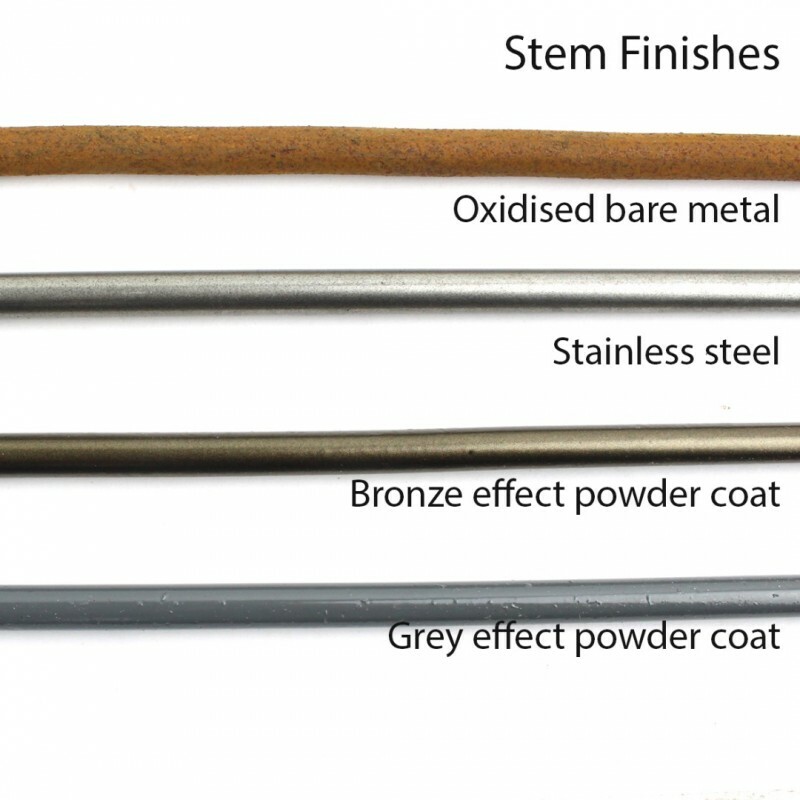 If you select the bare metal oxidised option It will arrive with the stem looking grey in colour but when placed outside it will quickly oxidise. 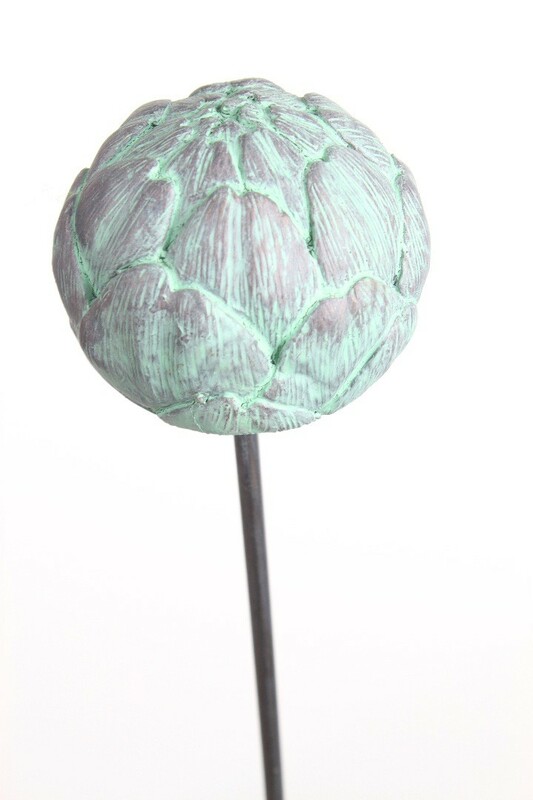 The artichoke will itself will remain bronze verdigris finish. NEW! 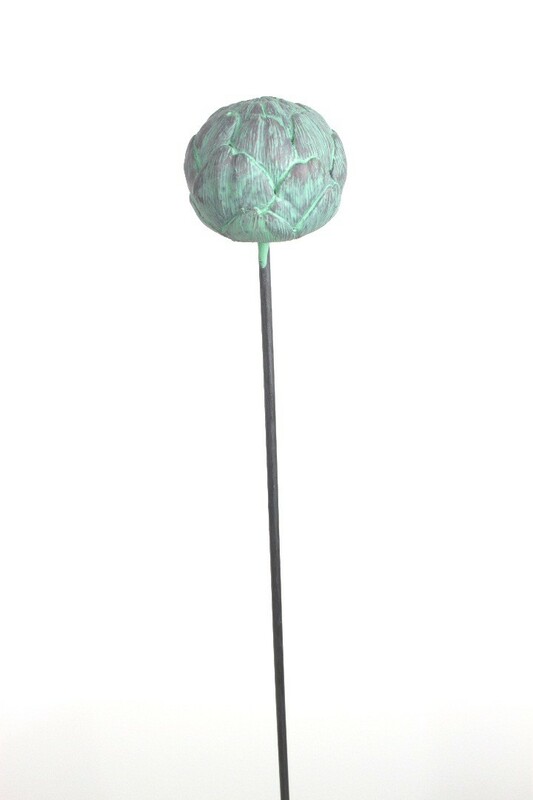 Now available with different stem finishes. 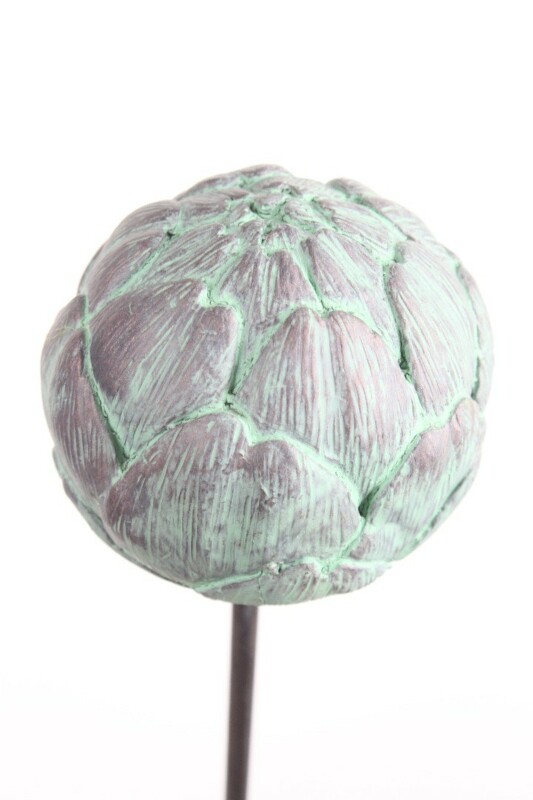 Each stem finish will come with the same lovely bronze virdigris effect finish artichoke head.